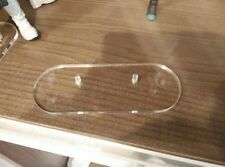 Marvel Legends Bases Stands Accessories Lot USA SHIPPING ONLY . Condition is Used. Shipped with USPS First Class Package. These are white and will require assembly (screws). Revoltech Spiderman pictured. "X-Men, Welcome to die!" It's Magneto, the Master of Magnetism! Get your hands on this Marvel Legends figure by Toybiz today! Marvel Legends Toybiz Magneto w/Stand. Condition is Used. Toybiz Marvel Legends Monsters Set Zombie Figure No Stand. Condition is Used. Very nice condition good color. Adult owned only used for display. Figure comes from a smoke free home. Shipped with USPS First Class Package. Marvel Legends Urban Legends Spider-Man Action Figure w Display Stand Toybiz. Taken out of box for this picture, otherwose never touched. This figure is in clean and undamaged condition. May have minor scuffs being a pre-owned item. Please feel free to ask any questions or request additional pictures. Thank you for shopping. ( no baf piece included ) she is used ( only for display) but otherwise complete and good condition. (does include bonus stand in the picture). Works great with marvel legends! Item is in decent condition. Item has been kept in a display case until now. Publishers reserve the right to change or alter covers. Publishers & Diamond Distribution. Derby City Comics & Toys has got what you need! Marvel Legends ToyBiz Series III 3 Skull Stand Base Diorama from Thor Figure. Condition is Used.comes from smoke and pet free facility. Ask any questions.see photos! Diamond Marvel Select Ultron Base/Diorama/Stand ONLY which is loose and is in good condition. Stands for Ultron, Cable, Sabretooth and others. Marvel Legends Captain America Themed Display/Stand/Diorama for up to 3 figures. Caption figure not included. Mails out wrapped in bubble wrap and into a box. Thanks for looking and please check out my other figure and diormama listings I am downsizing my collection. I do combine discount shipping costs on multiple orders to save you some money. Have a great day! Marvel 2002. Stand is about 6" tall to the top of the sign. Stand only as shown. By Hasbro / Marvel ;. Great gift & collection for marvel fans & children ! Make Supersized Seem Small. Condition: ( LOOSE, 2012 SERIES ). What you see is what you get ! Enjoy yourself! (Loose) 2018 Hasbro Marvel Legends Deadpool Sauron BAF"Headpool" Head W/ Stand Portion Only For 6" Custom Fodder (Loose) 2018 Hasbro Marvel Legends Deadpool Sauron BAF "Headpool ". loose Hasbro Marvel Legends Deadpool Sauron BAF"Headpool" Wade Wilson head stand portion. 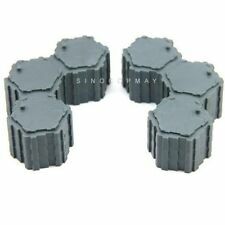 MARVEL LEGENDS X MEN LEGEND LOT OF 5 PCS DISPLAY BASE STANDS ONLY LOOSE. Condition is Used. Shipped with USPS First Class Package. They are used and have wear on them. Please look at the pictures. Marvel Legends Stand Diorama Metal Art Tree like new condition figures not included (size comparison display example). Mails out wrapped in bubble wrap and into a box. Thanks for looking and please check out my other figure, diorama, and accessories listings I am downsizing my collection. I do combine discount shipping costs on multiple orders to save you some money. Have a great day! You are buying a marvel legends Colossus figure. Used sold as pictured with no returns. Please ask any questions before you buy it. Up for bid is a pre-owned Marvel Legends Toy Biz Mystique loose figure with stand. I’m not a professional grader so please use the pics to judge for yourself on the condition. Figure comes in used/ played with condition and has signs of aging, paint wear, scratches, dust, and other blemishes. May require additional cleaning. Comes with a stand and no other weapons or accessories are included. Figure is being sold As Is. What you see is what you will receive. I will only sell and mail this item within The United States. I will not accept any refunds or returns so please bid wisely. Thank you! Marvel Legends Juggernaut ToyBiz Series 6 Loose. Don't You Know Who I Am?. I'M THE JUGGERNAUT B ! Marvel Legends Face Off Stand and Background from Hulk vs Leader 2-Pack Toy Biz! Everything is in great shape! 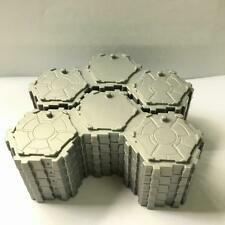 Up for sale is a lot of 9 Bases and 12 arms. One of the bases has a line through it, but works fine. These bases are in used condition. Custom Colossus last stand x3 marvel legends figure Peter Rasputin. Figure is in great shape and comes with alternate organic steel changed head. Great resemblance to Daniel Cudmore who played Colossus during the original fox movies. Guaranteed tracking with purchase and I do offer a discount on multiple items won. Happy bidding! Here I have for you a pre-owned Toy Biz Marvel Legends 2002 The Punisher with Display stand and guns Action Figure Loose. It was gently used and is in excellent condition figure is definitely not mint its been played with. Please buy with confidence I have excellent feedback and my goal is to make this transaction as quickly and pleasant as possible for you. Thanks for looking! Up for bid is a pre-owned Marvel Legends Toy Biz Black Panther Loose Figure With Stand. I’m not a professional grader so please use the pics to judge for yourself on the condition. Figure comes in used/played with condition and has signs of aging, paint wear, scratches, dust, and other blemishes. May require additional cleaning. Figure comes with a stand and no other weapons or accessories are included. Figure is being sold As Is. What you see is what you will receive. I will only sell and mail this item within The United States. I will not accept any refunds or returns so please bid wisely. Thank you! This is a display stand for Black Widow figure. It's in great shape. All the stand bases are "3.0mm". Marvel Legends series III Toy Biz Thor! Marvel Legends Punisher Series IV Bonus 32 Page Comic Book Collector Wall Mountable Display. Up for bid is a pre-owned Marvel Legends Toy Biz X-Factor Cyclops Loose Figure With Stand. I’m not a professional grader so please use the pics to judge for yourself on the condition. Figure comes in used/ played with condition and has signs of aging, paint wear, scratches, dust, and other blemishes. May require additional cleaning. The right arm is slightly loose. Please be advised that the stand is broken at one of the joints. It can still be attached (with great care) and used for display. No other weapons or accessories are included. Figure is being sold As Is. What you see is what you will receive. I will only sell and mail this item within The United States. I will not accept any refunds or returns so please bid wisely. Thank you! Beast Head 6" Scale Lot ~ fromToybiz/Hasbro -. However, they are quite expensive. Rest of World. This is a Used Stand. Unpaid item case will be open automatically by. SALES ARE FINAL. SOLD AS IS . Condition is Used. Th e ba se s ta nd o nl y fo r ma rv el l eg en ds wolverine s er ie s 6.